Smartphone manufacturer Samsung (Samsung) has intensified its preparations to provide 5G network-enabled products in the market. South Korean smartphone manufacturer Samsung (Samsung) has intensified its preparations to provide 5G network-enabled products in the market. The company will launch a mass trial of its 5G facility in the first quarter of the year 2019. The company is working with the Department of Telecom to start this trial. 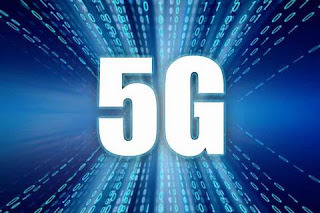 According to Srinivasa Sundarajan, senior vice president and network business head of Samsung India, the company will co-operate with the Department of Telecom to test 5G service in the New Delhi area in the first quarter of next year. The company is also working with 5G technology in areas like Healthcare, Agriculture and Smart City servicing under 5G service. Sundarajan said that Samsung is already working on 5G services in the US and Korea. He said that this new technique would be like a revolution in India. He told us that we have to update some software to take advantage of this technique. He said that we are talking with many patrons regarding the 5G service. But Reliance Geo Company will always be a prime partner.